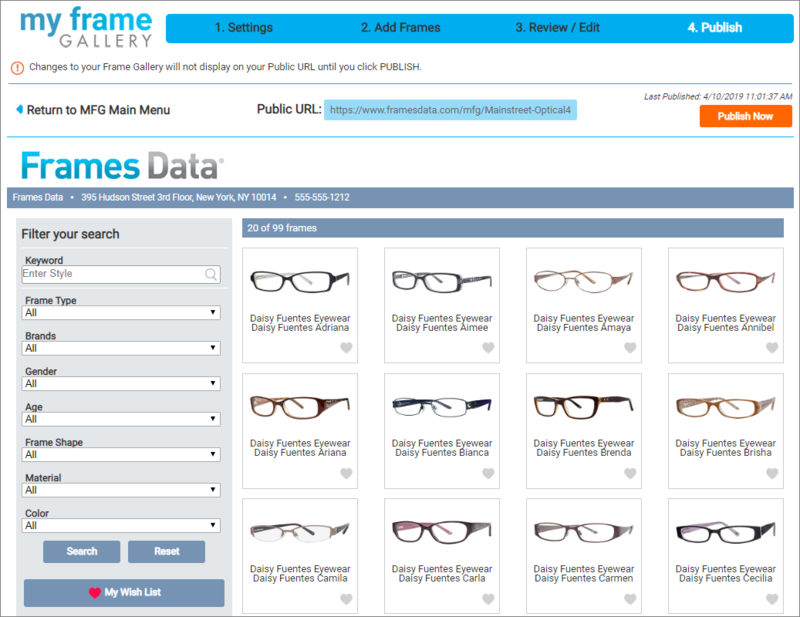 We've launched a new iframe version of My Frame Gallery, available to all My Frame Gallery users. 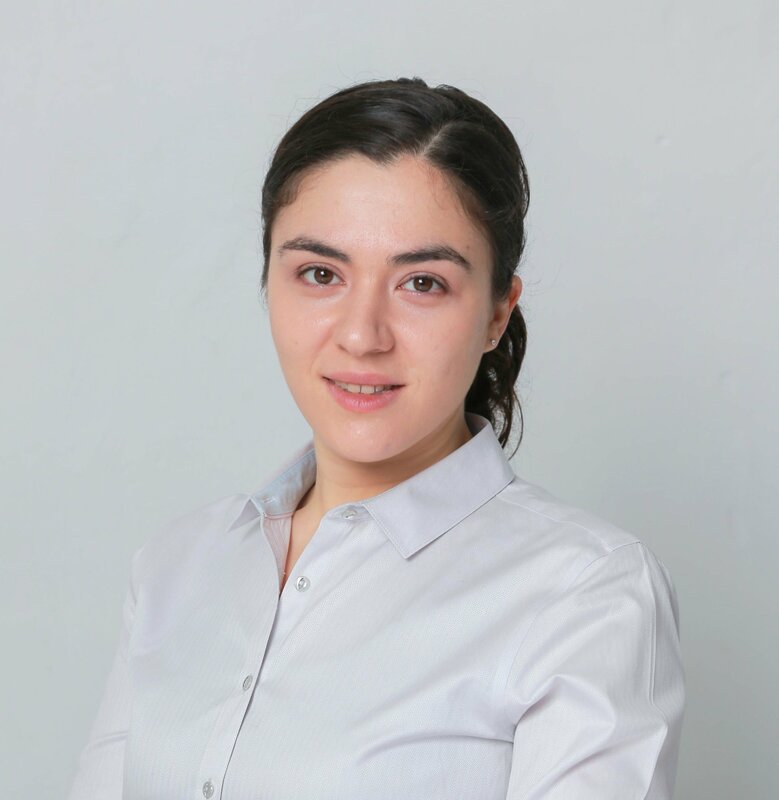 An iframe (short for inline frame) is a small snippet of html that tells a webpage to grab code from somewhere else and display it inline on the page. For My Frame Gallery, that means that you can embed the gallery directly into an existing page on your site. 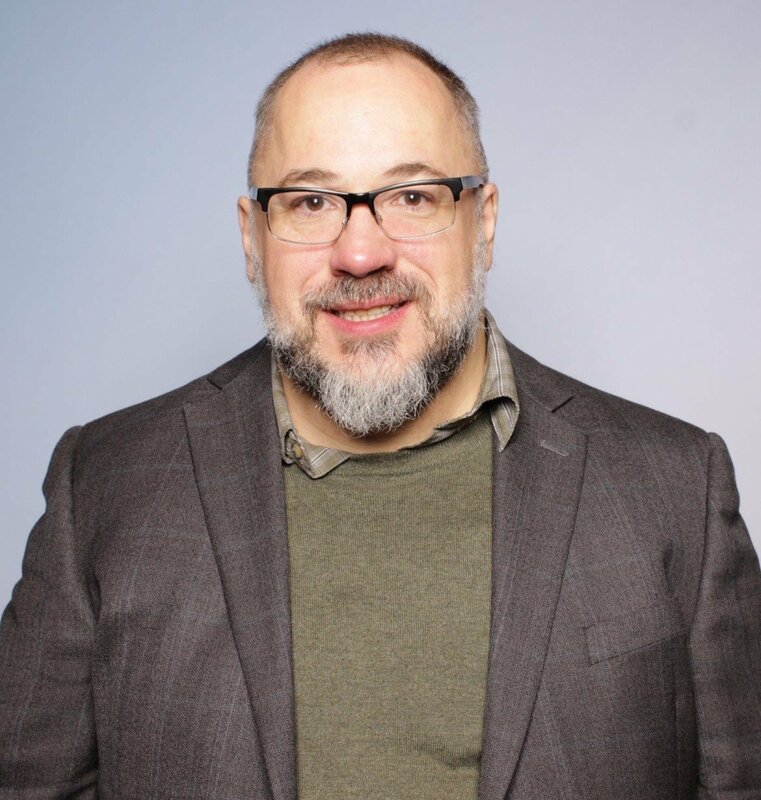 The iframe version eliminates the header and footer elements of the standard Gallery, so it can sit seamlessly inside your website's existing format. 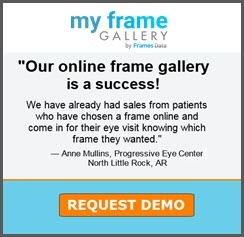 Therefore if you use the iframe version, it will appear to your patients that they are browsing frames directly from your website, instead of directing users to a separate page that is outside of your site. The experience is cleaner, and the Gallery feels like a native section of the page. No, if you already have a My Frame Gallery account, there is no additional charge. How do i get an iFrame version of My Frame Gallery? 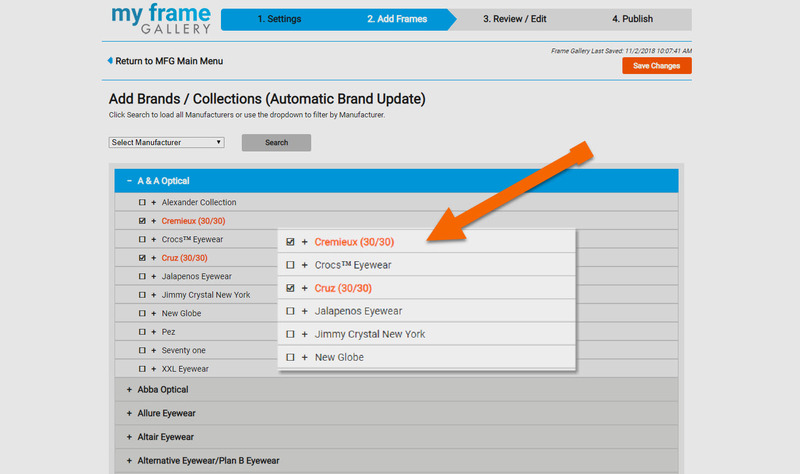 If you have already set up a standard Gallery, you can immediately get started with an iframe. If you are using a templated website, you may be able to embed the iframe fairly easily. Wix, for example, has a free app for its customers called "Embed HTML", which enables installation of an iframe. Check with your provider if you are using a templated website. If you aren't a web developer and this post seems like gibberish, don't worry! It will make perfect sense to your developer. In this example, the section that contains "MFG1" should be the same as the last part of your public My Frame Gallery URL. 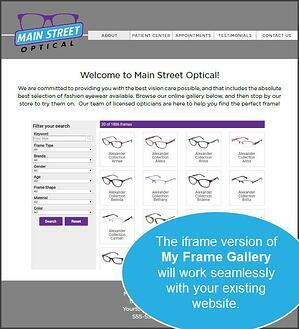 If your public URL is www.framesdata.com/mfg/mainstreeteye for instance, you would insert "mainstreeteye" where MFG1 appears in the example. Then simply update the width and height to fit your site, and choose a border thickness (frameborder). If you don't want a border, set that value to "0" as we have in the example code above. Can I see a website that uses your iframe? Absolutely! 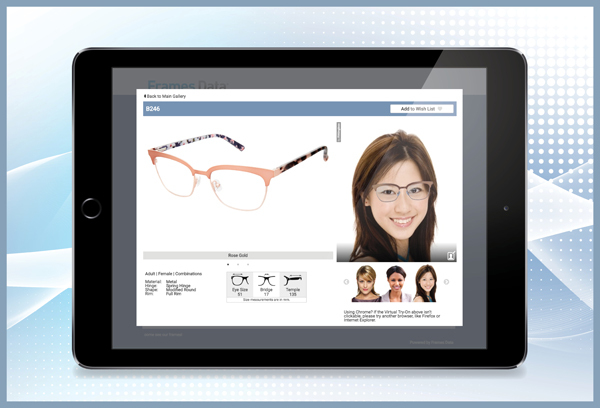 We created a make-believe optical retail site using an iframe here. 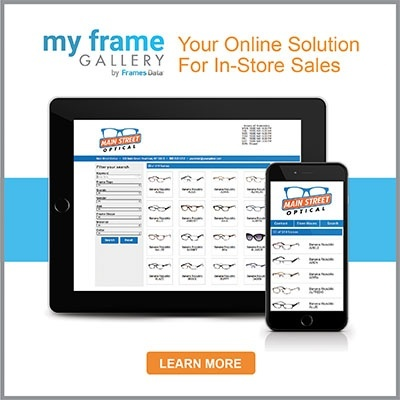 Feel free to contact technical support at techsupport@framesdata.com or 800-821-6069 ext 1 for questions about how to create the right iframe. Just be aware that we aren't able to install it on your site for you. Please work with your web developer to ensure a successful iframe install.